Yamaha Motor officially announced version refresher for X-Max scooter which was released this year. This refresher version specifically labeled `Iron Max`. Visordown reported on Friday (09/25/2015), the lineup of X-Max are getting a refresher is X-Max 400, 250, 125, and 50. In the latter model, Yamaha even provide additional colors. Refresher most obvious is the painting technique called `Liquid aluminum Darkness` with more sophisticated emblem. Additionally, refreshment is also provided in the seat. There, given the X-Max logo that arise, as well as gold-colored stitching. Other exclusive refreshment is footboards aluminum, satin chrome speedometer rings, and the handlebar cover. 125 and 250 cc version is also equipped with an instrument panel with white backlight. 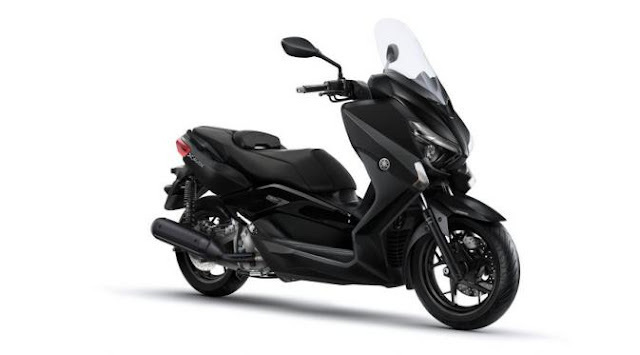 Finally, Yamaha X-Max 50 cc of type Aero and BMW is equipped with a brand-new color, while the type of Neo got a shock change color Star Silver.